Community titles schemes will need the ability to terminate at some point. The Community Titles Bill will provide for a process to terminate one or more community titles schemes in the community scheme via a vote in favour by the majority of owners of lots in the community titles scheme to be terminated and a vote in favour by more than 50% of all other owners of lots in the entire community scheme. This termination process includes all the safeguards proposed in the Strata Titles Amendment Bill 2018 but takes into account the unique nature of a community scheme. require a termination resolution passed by the requisite majority to be confirmed by the State Administrative Tribunal (the Tribunal) to consider all owners’ views. If owners in the community scheme vote unanimously to terminate one or more of the community titles schemes, confirmation of the termination resolution by the Tribunal will not be necessary but other aspects of the termination process will still apply. If all the lots in a community scheme are owned by the same person that person can apply directly to the Registrar of Titles to terminate the scheme if the person has obtained an approved plan of subdivision for termination of the scheme and a plan or diagram of survey endorsed by the Planning Commission. If a single owner owns all the lots in a community titles scheme but not the community scheme, regulations may be made to modify the termination process. the value of each vote is 1. This vote is different to the normal voting requirements (ordinary resolution or special resolution based on unit entitlement). The majority termination process is more than just a vote. There is a complete, transparent process that must be followed. If the vote produces the required majority resolution, but is not unanimous, in order for the termination proposal to proceed further the Tribunal must confirm the termination resolution. A majority termination proposal cannot proceed without an order from the Tribunal confirming the termination resolution. the termination proposal is just and equitable. There will be extensive guidance to assist the Tribunal in deciding whether the proposal is just and equitable and how a fair market value or like for like exchange is to be determined. There will be a power to make regulations that require a proponent to make arrangements with owners of lots to obtain independent advice or representation in connection with the termination proposal. The arrangements may include a requirement for the proponent to pay an amount to a trustee to be held in trust for owners of lots who meet specified criteria (vulnerable owners) to obtain independent legal advice or representation, valuation advice or reports or financial or taxation advice in connection with the proposal. All owners will have access to funding to respond to a full proposal and vulnerable owners will have access to additional funding and assistance to respond to the termination proposal. If it is proposed to terminate a tier 2 scheme, the proposal must include a proposal to terminate each tier 3 scheme that belongs to the tier 2 scheme. If it is proposed to terminate a tier 1 scheme, the proposal must include a proposal to terminate each tier 2 scheme that belongs to the tier 1 scheme. There is proposed to be a 3 part process to terminate the community scheme or one or more community titles schemes in the community scheme. 8. apply to the Tribunal to confirm the termination resolution when a majority termination resolution is obtained but is less than 100%. The Tribunal may decide not to confirm the termination resolution and the termination proposal goes no further. 11. apply to the Registrar of Titles to register the termination. each community corporation that is related to that community corporation. any other information required by the regulations. Other matters may be included in the outline termination proposal where required. during a period for which the Tribunal has (on the application of the community corporation or a related community corporation) ordered that proposals are not to be submitted to the community corporation. If an outline termination proposal cannot be submitted to a community corporation it cannot be submitted to any related community corporation. If the outline termination proposal can be submitted to the community corporation and related community corporations which must serve it on all owners and registered mortgagees in the scheme within 14 days of receiving the proposal. After serving owners and registered mortgagees with the outline termination proposal the community corporation is to give written notice of that fact to the proponent. The tier 1 corporation must, within 14 days after being given an outline termination proposal, lodge a notification in an approved form with the Registrar of Titles so that the Registrar can record that a termination proposal is current for the relevant community titles schemes (this is to ensure people who search the scheme plan can see if the scheme is considering a termination proposal). An outline termination proposal can proceed further if all community corporations served with the proposal, vote in favour of the proposal, by ordinary resolution within 3 months of receiving the proposal. If one or more community corporations does not pass an ordinary resolution in favour of the outline proposal, the termination proposal comes to an end and the tier 1 corporation must lodge a notice with the Registrar of Titles in the approved form that the termination proposal cannot proceed further. The tier 1 corporation must also notify the proponent and each member of the community corporation and each related community corporation. For a 2 lot community titles scheme, an ordinary resolution is taken to be passed in favour of the outline termination proposal if the vote attached to 1 of the lots is cast in favour (regardless of the unit entitlement of the lot). If the termination proposal can proceed the proponent can apply to the Planning Commission for approval of a plan of subdivision for the proposal (that is for one or more tier parcels to cease being subdivided by a community titles scheme). It may also be necessary to apply for amendment of the community development statement. If a community titles scheme at a tier 2 or tier 3 level is proposed to be terminated, the subdivision application will show that the tier parcel will cease to be subdivided by a community titles scheme and become a single lot. If the community scheme is proposed to be terminated, then the application for subdivision will reflect this and individual subdivisions for the community titles scheme which belong to the community scheme will not be required. Only if the Planning Commission gives approval for the subdivision, the proponent may proceed with the termination proposal by preparing a detailed termination proposal otherwise the termination proposal process comes to an end. If the proponent has obtained approval of a plan of subdivision then they can submit a full proposal for termination, on each community corporation in the community scheme. during any period for which the Tribunal has, on application by the community corporation or related community corporation prohibited termination proposals being submitted to the community corporation. a valuation report (paid for by the proponent) prepared by a licensed valuer stating the market value of each lot in a community titles scheme proposed to be terminated. Regulations may prescribe matters relating to determination of market value of a lot for the termination report. The valuation must be current as at a date not more than 21 days (or longer if permitted under the regulations) before submission of the full proposal to the community corporation. 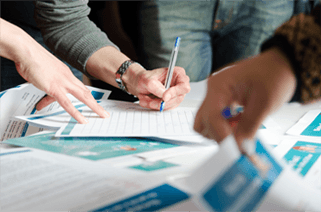 A full proposal can contain further information if required. each occupier of common property in its community titles scheme. The community corporation must as soon as practicable after serving the proposal give written notice to the tier 1 corporation. The tier 1 corporation must within 14 days after being given notice of the full proposal, lodge with the Registrar of Titles notice of receipt of the full proposal in the approved form. represent vulnerable owners in SAT if the proponent disagrees about who is or is not a vulnerable owner entitled to the additional funding to ensure vulnerable owners have access to funding to pay for expert advice and legal representation. 3. The community corporation will be required to pay the independent advocate for the services listed above. 4. The community corporation can require the proponent to reimburse the community corporation the cost of the independent advocate’s services. pay for expert advice on the taxation and financial implications of the termination. specify what the owner can use that money for. specify what the vulnerable owner can use that money for. If there is an argument about who is a vulnerable owner, the Tribunal will decide. Multiple meetings may be held to understand and negotiate with the proponent on the termination proposal. The council of a community corporation may meet with the proponent to clarify and provide further information to the affected people and all people who were served the full proposal can make submissions to the proponent and the community corporation. If required, more than one general meeting of a community corporation may be held. A vote in favour of the termination proposal is only effective if it happens between two and six months after the proposal was served; a maximum four-month window. Only 3 votes are permitted during that period. A person who is independent of both the community corporations and the proponent of the termination proposal, is appointed to tally and count the votes on the proposal. A termination resolution is passed unanimously if the number of votes cast in favour of the termination resolution equals the number of lots in the community scheme. If the vote to terminate is unanimous there is no need for a Tribunal review, so the process continues at step 9. If the vote is not unanimous but the required percentage of owners vote in favour, the proponent can apply to the Tribunal to confirm the termination resolution. (step 8). one or more tier 3 schemes. If there are more than 3 lots in the community scheme the number of votes cast in favour of the termination proposal is ¾ or more of the total number of lots in the community scheme. the number of lots cast in favour by owners of all lots in the community scheme is ½ or more of the total lots. the number of votes cast in favour of the termination proposal by the owners of lots in the community scheme is ½ or more of the total number of lots in the community scheme. The independent person has the role of ensuring the confidentiality of the voting process to protect owners from harassment or undue influence. if confirmation of the resolution by the Tribunal is required the independent person must provide the record of the voting to the tier 1 corporation otherwise they must not disclose information about who cast votes for or against the proposal or for which lots votes were cast to anyone. There will be power to make regulations about the process for voting on a termination proposal. If the required majority vote is not attained, the termination proposal comes to an end. If the full termination proposal attains the required majority vote (but not 100 per cent) the proponent can apply to the Tribunal to confirm the termination resolution. The application must be made within 28 days after the close of voting on the termination proposal or within an extension of that time given by the Tribunal. A judicial member or a judicial member and other members of the Tribunal must decide whether or not to confirm the termination resolution and make any ancillary orders. A termination proposal that attains the required majority vote can only proceed further if the Tribunal confirms the termination resolution. the termination proposal is otherwise just and equitable. If the Tribunal is not satisfied on these matters the Tribunal must order that the termination proposal comes to an end. There will be extensive guidance to assist the Tribunal to decide whether the termination proposal is just and equitable. the benefits and detriments of the termination proposal proceeding or not proceeding for all those whose interests must be taken into account in terms of each community titles scheme to be terminated, each community titles scheme not terminated and across the community scheme. Each community corporation in the community scheme will be entitled to a copy or notice of the proponent’s application to the Tribunal. Each community corporation will be taken to be a party to the proceedings before the Tribunal. A community corporation that receives notice of the proponent’s application must serve notice of the application within 14 days on each owner, occupier or registered mortgagee of a lot in its community titles scheme, each occupier of common property and each person who the Tribunal requires to be served with notice of the application. If the community titles scheme constitutes or includes a retirement village within the meaning of the Retirement Villages Act 1992 the community corporation served with notice of the application must serve notice of the application on the Commissioner within the meaning of that Act. The tier 1 corporation has a duty to provide the record of voting to the Tribunal together with any community development statement in force for the community scheme. All community corporations in the community scheme have a duty to provide to the Tribunal minutes of all meetings of the community corporation and council at which the termination proposal was considered, all written submissions made to the community corporation about the termination proposal and if the community titles scheme is proposed to be terminated, the scheme documents for the scheme. At proceedings of the Tribunal on the application the Tribunal may hear and receive submissions from each community corporation and person required to be served with notice of the application. the owner will not be disadvantaged in terms of the owner’s financial position as a result of the termination of the community titles scheme. In considering the amount of compensation that would be payable under the Land Administration Act 1997, the Tribunal may also award an additional amount appropriate to compensate for the taking without agreement (but it may not be more than 10% of the amount otherwise awarded or offered unless the Tribunal is satisfied that exceptional circumstances justify a higher amount). conveyancing and legal costs and other costs associated with the creation or discharge of mortgages and other interests, including for the acquisition of a replacement property. how the location, facilities and amenity of what is offered in exchange compares with the current lot (including if the lot is proposed to be incorporated into another community titles scheme in the community scheme without a change in ownership). ensure that lessees will be properly compensated by the proponent, if the termination goes ahead. that an occupier of a lot or common property must vacate the lot or common property. A community corporation must as soon as practicable after being given notice of the decision of the Tribunal lodge a notice of the decision with the Registrar of Titles in an approved form and give written notice of the decision to each person who was entitled to receive notice of the application. If the Tribunal confirms the termination resolution (or the termination proposal is supported by a unanimous resolution), the proponent can request the Planning Commission to approve a scheme plan or plans or amendments of scheme plans (if the termination proposal does not involve termination the community scheme) or endorse the plan of survey (if the land in the community scheme is ceasing to be subdivided by a community scheme) required to register the termination. If the Planning Commission does not endorse the relevant scheme plans, amendments or plan of survey, the termination proposal comes to an end. Before a community titles scheme is terminated the community corporation, a member of the community corporation, a registered mortgagee of a lot in the scheme or a judgment creditor may apply to the Tribunal for directions about winding up the community corporation. An application may be made as part of the proceedings for confirmation of the termination resolution. Orders that the Tribunal may make on such application include the sale and disposition of property of the community corporation, discharge of liabilities of the community corporation and the administration and functions of the community corporation. the proponent has taken the steps required under the termination proposal or orders made in connection with winding up of the community corporation. The proponent must apply within 12 months after the termination resolution is passed or, if the termination resolution requires confirmation from the Tribunal, the Tribunal makes an order confirming the termination resolution. An application for termination of a community titles scheme must be in an approved form, be accompanied by evidence that the requirements for termination of the scheme have been complied with, be accompanied by the plans approved by the Planning Commission, a statement of how items registered or recorded for the scheme are to be dealt with and the fee fixed by the regulations. On an application to the Registrar of Titles for termination of a community titles scheme the scheme is cancelled when the Registrar registers or records the termination in the Register. The proponent can withdraw their termination proposal at any time before registration of the termination by giving notice of withdrawal to each community corporation that was given notice of the termination proposal. A tier 1 corporation that is given notice of withdrawal of a termination proposal must give notice of the withdrawal to the Registrar of Titles in approved form within 14 days. A tier 1 corporation has an obligation to lodge a notice with the Registrar of Titles when a termination proposal cannot proceed further, for example if there has not been a vote on an outline proposal within the 3 month period, or if at the end of 6 months after service of the full termination proposal a termination resolution has not been passed. In these circumstances the tier 1 corporation must also give written notice confirming that the termination proposal cannot proceed further to the proponent and each member of the community corporation and each related community corporation. 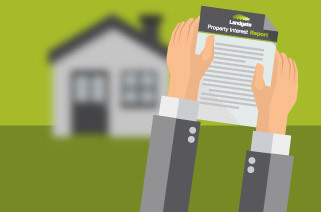 Regulations may require the proponent to enter into arrangements with owners of lots in a community titles scheme the subject of a termination proposal to obtain independent advice or representation in connection with the proposal. The arrangements may include a requirement for the proponent to pay an amount to a trustee to be held in trust for owners of lots who meet specified criteria (vulnerable owners) to obtain independent legal advice or representation, valuation advice or reports or financial or taxation advice in connection with the termination proposal. The proponent will have to cover the expenses of many activities linked with a termination, including preparing the outline and full termination proposal, making the planning applications and paying for the infrastructure and valuation reports. If the community corporation needs to do things during the termination process (such as serve notices on the owners or registered mortgagees or pay for the independent advocate's services) the community corporation may charge the proponent reasonable fees to cover the costs of the activity. A community corporation need not undertake the relevant activity until the fees have been paid. if 2 or more persons own a lot in a community titles scheme that is terminated, the owners hold their share in the new lot or parcel of land as tenants in common or joint tenants in the same manner as they owned the lot and, if they owned it as tenants in common, in the same proportions as they owned the lot.